Most people press the start button and pour their morning brew from a pot. Others have a favourite café or a neighbourhood Starbucks they frequent. You might order a venti latte, add in a few spoons of sweetness and call it a morning. For the average coffee lover, it usually doesn’t go beyond that. But there’s more to a cup of coffee than you think. 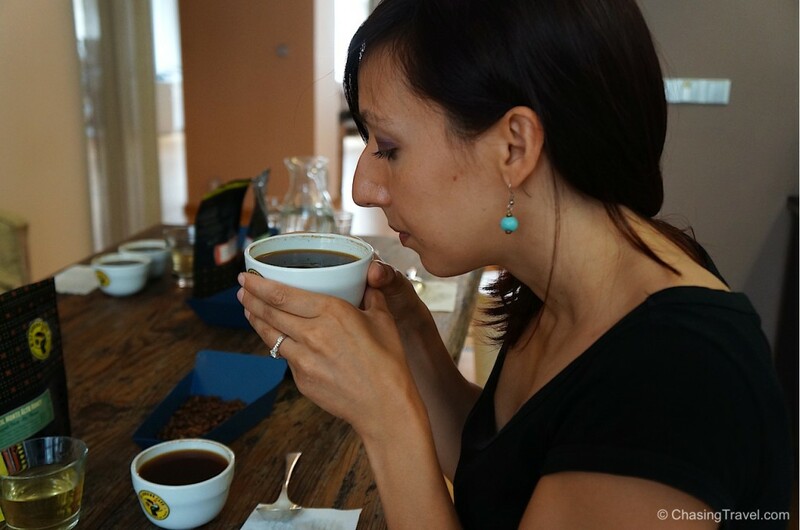 Like wine tasting, there is also coffee tasting. Coffee farmers, traders and roasters, use “coffee cupping” to understand each type of bean by tasting, analyzing and grading coffee’s different characteristics or qualities. “The complexity of coffee is like wine”. 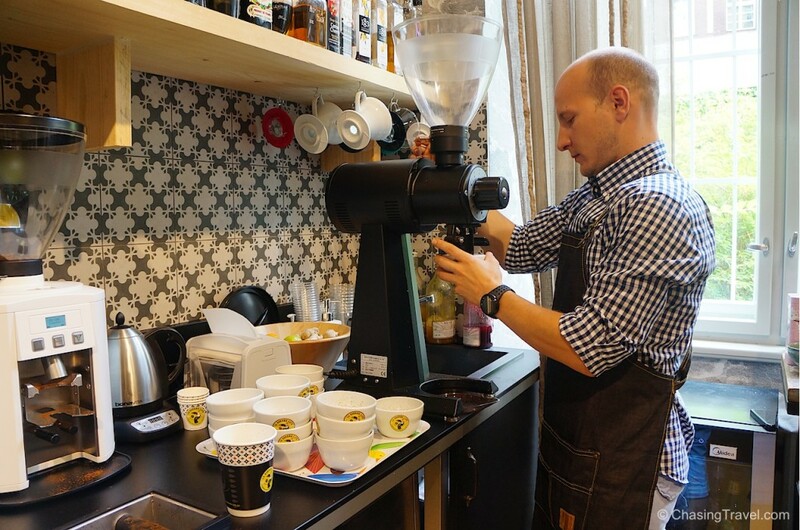 Martin is the Master Taster at La Boheme Café, one of Prague’s third wave cafés and local favourite when it comes to artisan roasters. Lucky for us it’s right by our gym and our regular beer garden in Prague. He’s right. Coffee really is complex. We took the stairs all the way up to the upper floor, to what looked like a barista lab. It’s the part of the café the customers rarely see. A loft-like studio with an open kitchen, the aroma of coffee lingers everywhere. Martin spends a lot of his time up here, mainly observing and studying coffee beans their farmers produce. 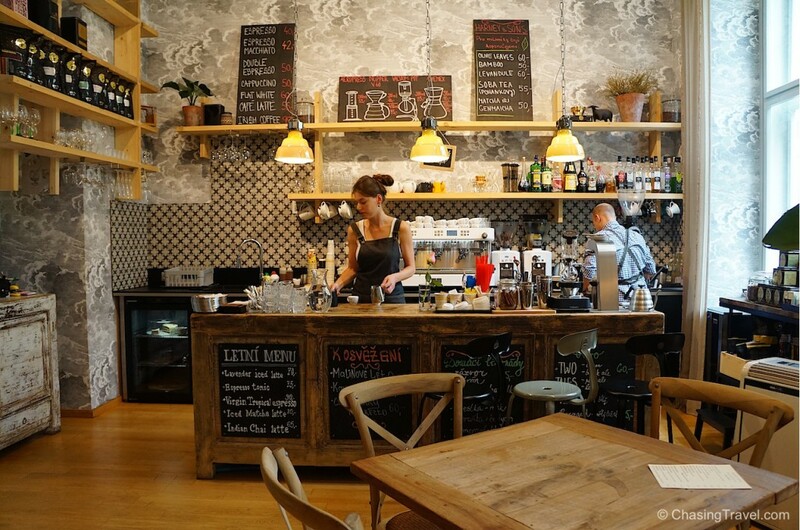 The café sources coffee from all over the world and then roasts the beans in the eastern part of the country near Ostrava. Coffee is actually not a bean. It’s a fruit (but it looks like a bean so I’ll call it a bean here). After harvesting, it’s prepared in one of three methods – washed, unwashed, or semi-washed where the bean is separated from its raw fruit. Each stage affects the final flavour of the coffee that’s poured in your cup. 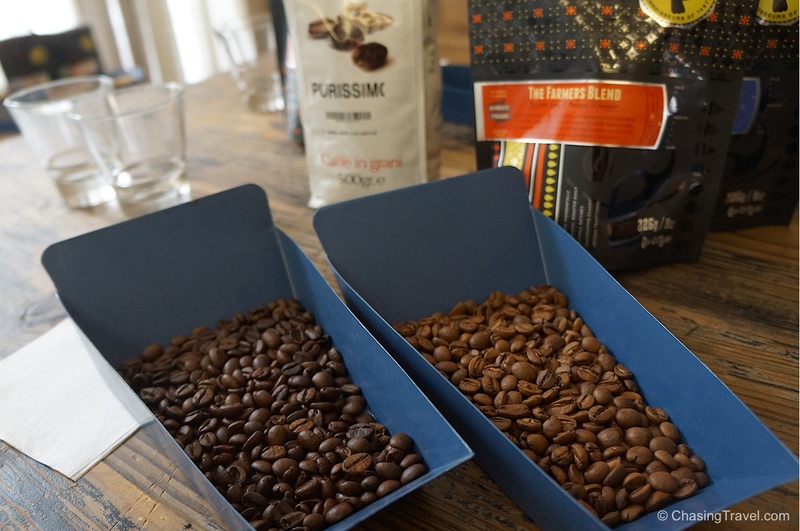 Jan set up a long rectangular table of five different beans and roasts from Africa and Latin America, including Brazil, El Salvador, Congo, and Ethiopia. 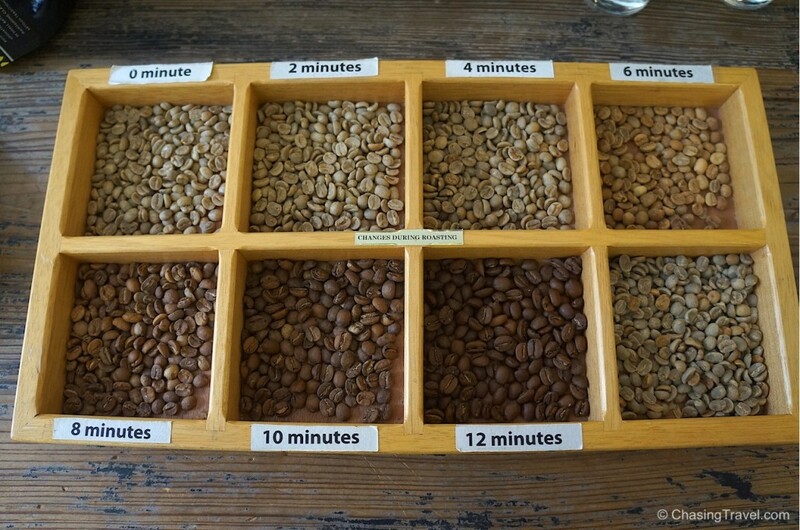 How the colour of coffee changes during roasting. 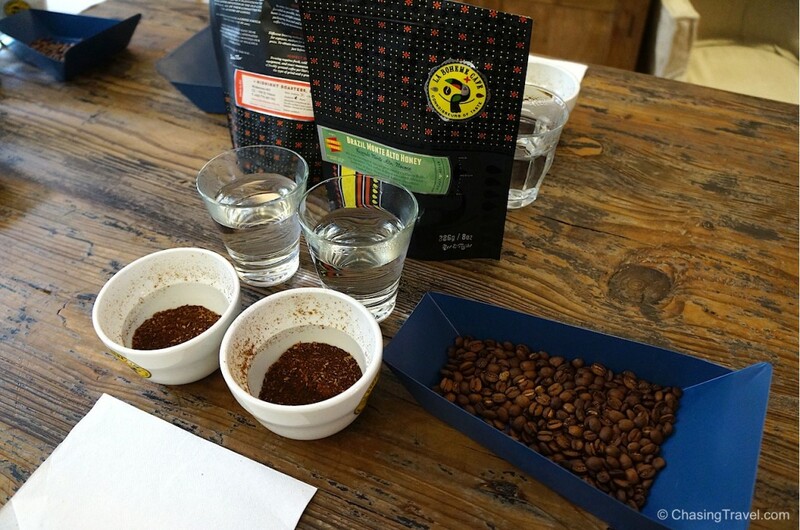 Coffee cupping is not just about tasting and comparing different coffees. Coffee growers, traders and roasters also use it to create flavour profiles, and grade the coffee on a scale of 1-10; to understand the coffee’s full potential, what the end product might be (in your cup), and what kind of coffee café owners might want to buy. 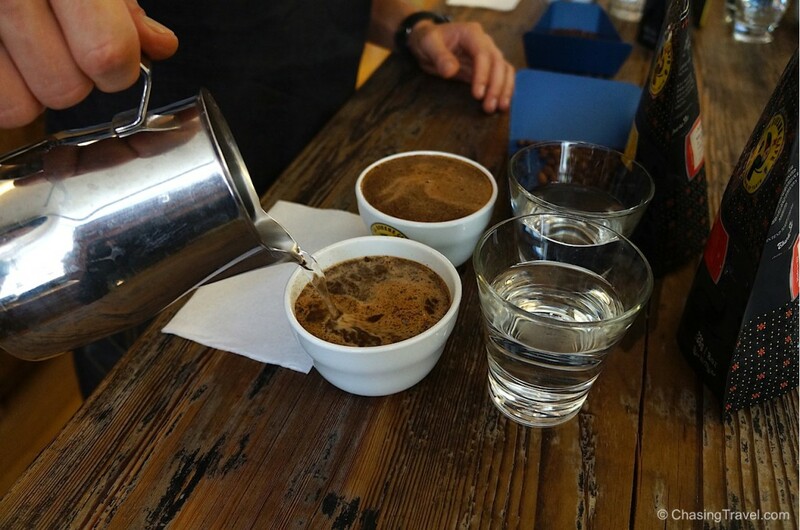 It involves walking around the “cupping table” several times during each stage. It’s amazing how experts grade coffee just by using their senses. Smelling the dry grinds is the first stage and in some ways, like wine, coffee can have more than 850 different kinds of traits, chemicals and aromas. Cupping is a way of trying to get up close to really sense and take in as many of those characteristics as possible. You might get a different aroma at different stages. A good tip is to always grind your beans just before use, to take advantage of its full flavour. Hot water is added to begin the “brewing stage”. At this point you slowly see the coffee begin to change – the grinds form a layer of so-called crust at the top. We walk around the table again, pausing at each cup to sniff and observe since the grinds have come in contact with the water. 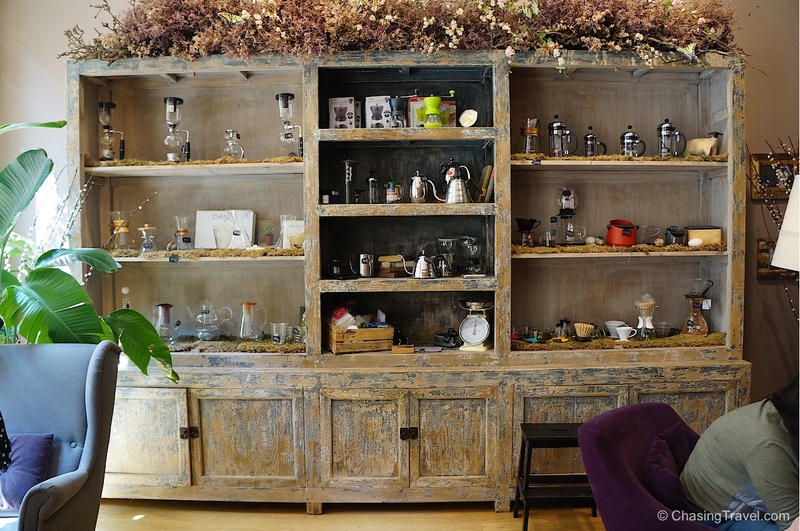 More of the aromas are prominent now and you can start to predict what kind of coffee it will be. The next step is “breaking” the crust by using the back of a spoon and dragging the entire top layer of grinds away from you in one neat motion. You suddenly get a burst of aroma in this part of the cupping, some smell more fruity and others sweeter. You’re supposed to move quicker around the table at this point so not to have the grinds over-steep (about 4 minutes at the most). I was trying not to rush my “breaking” technique though. I didn’t want to leave a mess of grinds in the liquid. Not good – nobody likes grinds in their coffee. This is probably the only time in my life I’m allowed to slurp and it’s not considered bad etiquette! To get the full flavour, you need to scoop up the coffee with a spoon and then sharply slurp it through your teeth, onto your palate. 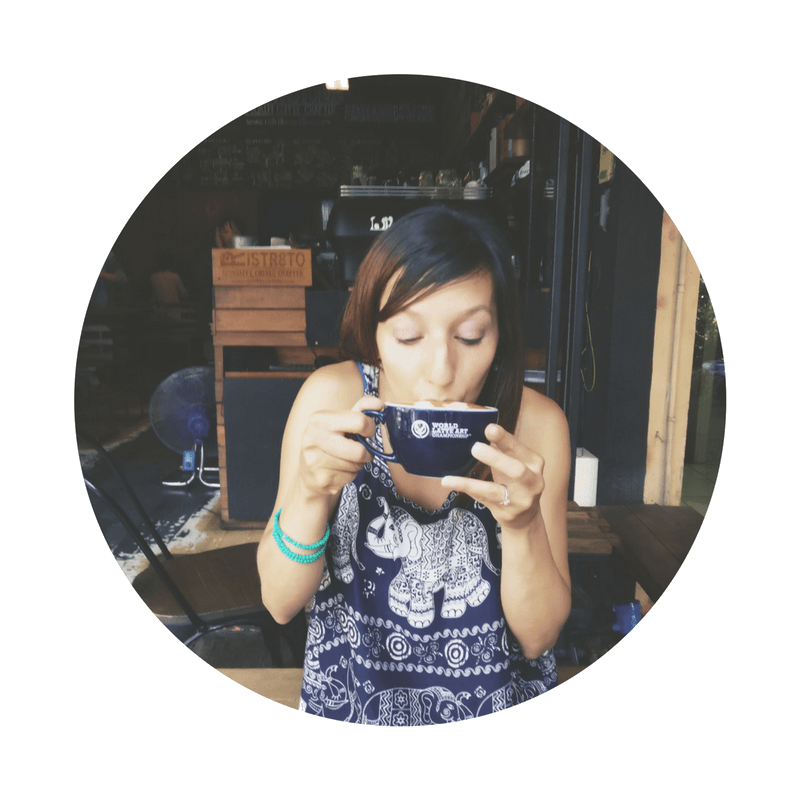 Slurping helps you extract the coffee’s traits like flavour, acidity, and aftertaste more prominently. Is it silky or smooth; intense or balanced? Can you sense nuts, spice, chocolate or fruit? Does it leave a bitterness or is there a pleasant flavour that lingers? We don’t realize how much goes into every cup when we merely order from a menu then grab n’ go. I loved the Brazilian bean with its hint of honey and apple but overall the Burundi bean stood out for me the most. It’s floral in taste and smell with a sense of cranberry – who knew you could taste flower in coffee?! Burundi is a relatively newcomer to the coffee scene. The bean is grown in a small northern village between Tanzania and Congo where farmers cannot afford to use chemicals. It’s because of this, today it remains organically produced. We even had a chance to try their interesting mango espresso and iced coffee before we left. The mango espresso didn’t appeal to me at first, but the barista vowed my palettes would thank me – and they did! Now, my coffee cup had a mix of tropical fruit, something I would have never ordered if it wasn’t for the barista’s reco. Coffee drinkers are rarely connected to coffee in this way outside of the retail experience but I really think we should be. Like wine tasting, coffee cupping is a way understand the people, producers, and skillset that goes into every cup. 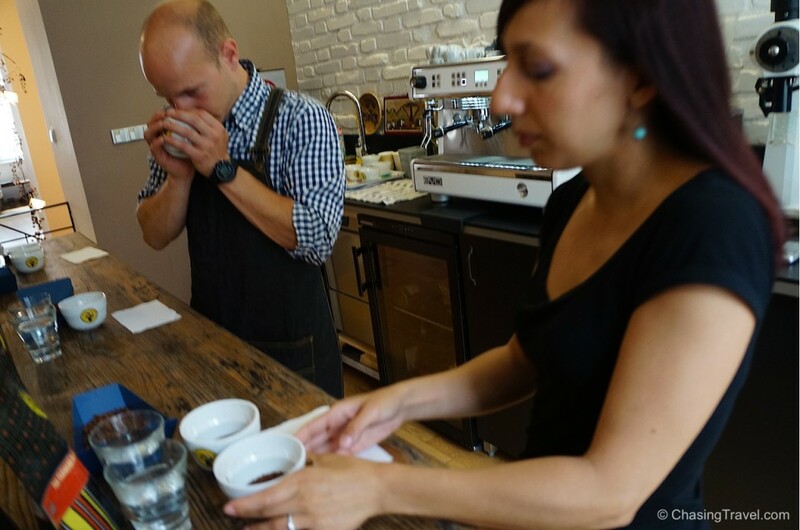 Our coffee tasting was a part of the Prague Coffee Tour, a 3-hour tour that walks you through the history of Czech coffee. Michal is full of insightful stories and knowledge but, despite being a “coffee tour”, I was a little disappointed it didn’t actually include any coffee drinking during our walk. 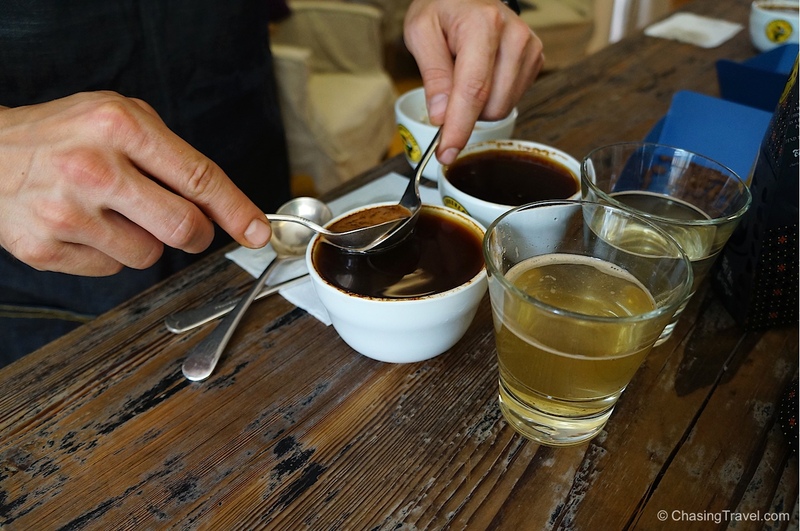 I thought we would stop into, at least, a few cafés during the tour to sample some of the local coffee but the only tasting was during the coffee cupping session at the end. 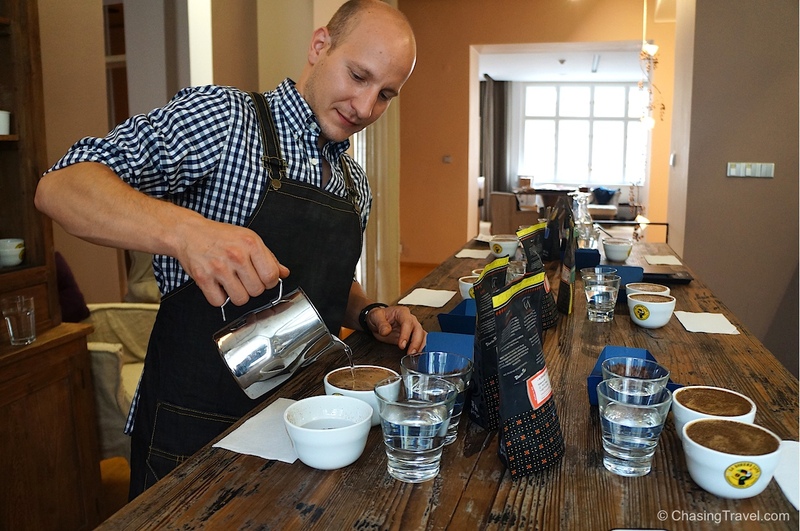 Unfortunately you can’t do the coffee cupping session without booking the full tour. What an interesting experience! I’m not a coffee drinker, but appreciate the chance to see what goes into something so many need to start the day! Who knew??? 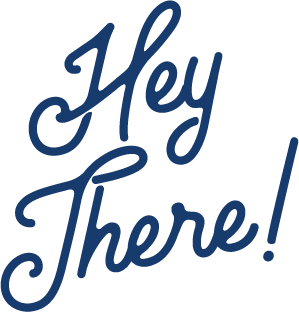 We love traveling with the kids and exposing them to new and different so they can learn that ‘our’ way of doing things is not the only way! 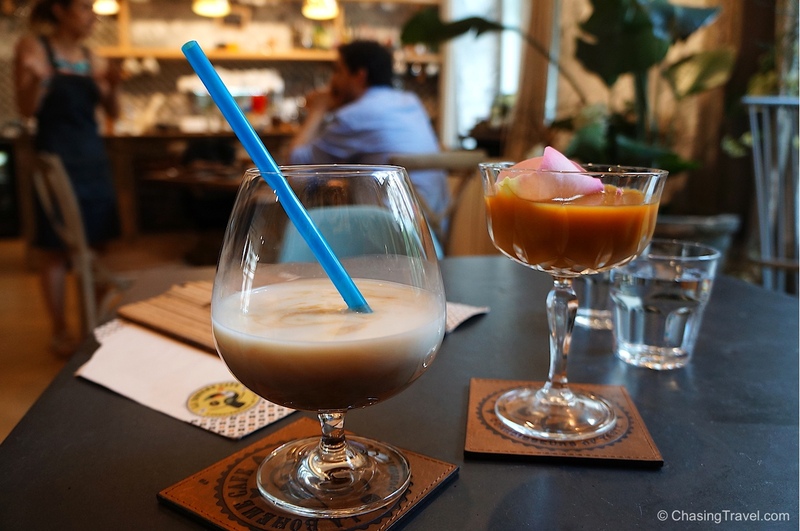 It sounds like a great experience to go on the Prague coffee tour! To go there and understand everything that goes on behind the scenes sounds so interesting! Thanks for posting this detailed blog about your experience, it feels like I also joined the tour myself. Thank you Claire for your lovely comment. If only this post had smell-ovision! It is really great learning how the professionals taste and grade coffee using even their smell. I once visited a tea factory which was somewhat similar way as you described above. I tried tasting them and I couldn’t note the difference the way they were LOL. Anyways, thanks a lot for sharing this.